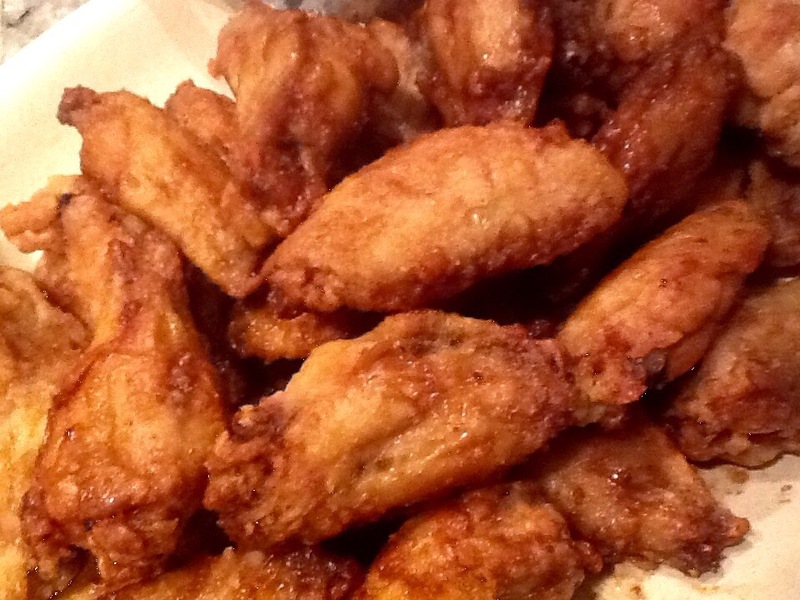 Korean wings at halftime…better than the show! I have been trying to find the recipe (a closely guarded secret) for the chicken wings prepared in our favorite Korean restaurant in Annandale, VA. “Halmoni” will NOT divulge the truth no matter how much you cajole her! I don’t live in Virginia anymore so I feel that I MUST figure this out. Today was that day! It is labor intensive but so worth the effort. So give it a try for your next gameday! Start one day ahead by separating the wings and removing the tips. Salt, and refrigerate overnight to leech out some of the water in the wings. Dry carefully with paper towels and dust lightly with potato or corn starch. Don’t rush now. Let them rest for 15 minutes while you heat enough oil to cover (usually about 1-2 inches). Heat oil to only 320 degrees for this first fry. It will be a slow, bubbly fry. 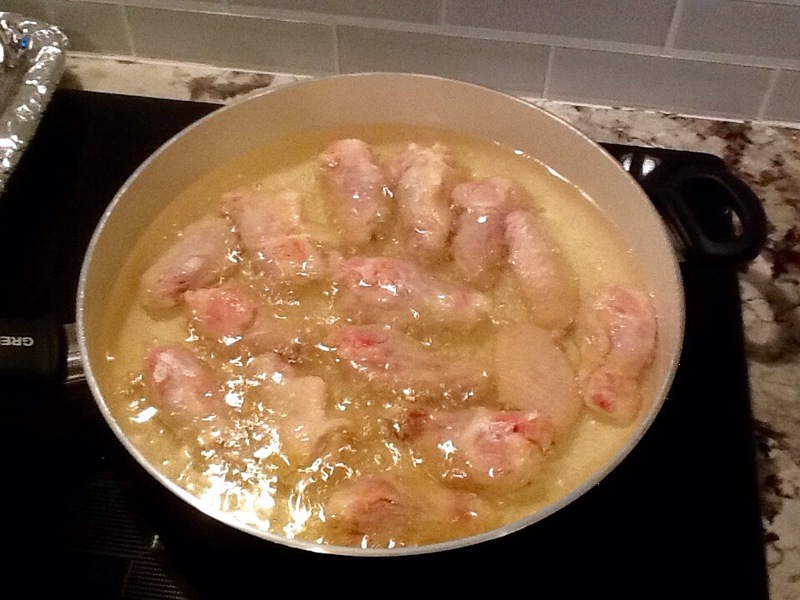 Fry the wings for 10 minutes. Remove from oil. Wings will be only partially cooked and not yet golden brown. 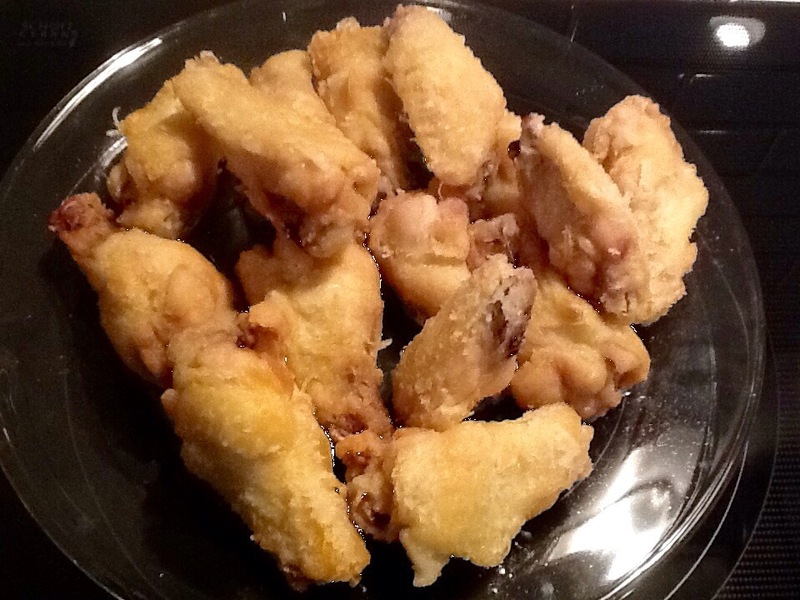 Increase heat to 375 degrees and fry wings again for exactly 3 minutes. Wings will be golden brown and crispy. The last step determines the flavor of your wings. For wings with the great Korean flavor I achieved, you toss them immediately in a mixture of soju (or vodka), crushed garlic, chopped ginger, chili paste, brown sugar,soy sauce and sesame oil. Turn up the heat with a second bit of a dried chili. The mixture is cooked for about 10 minutes or until slightly thickened. Strain out any pieces. When the piping hot wings hit the sauce it creates a “crackle coat” that is fantastic. 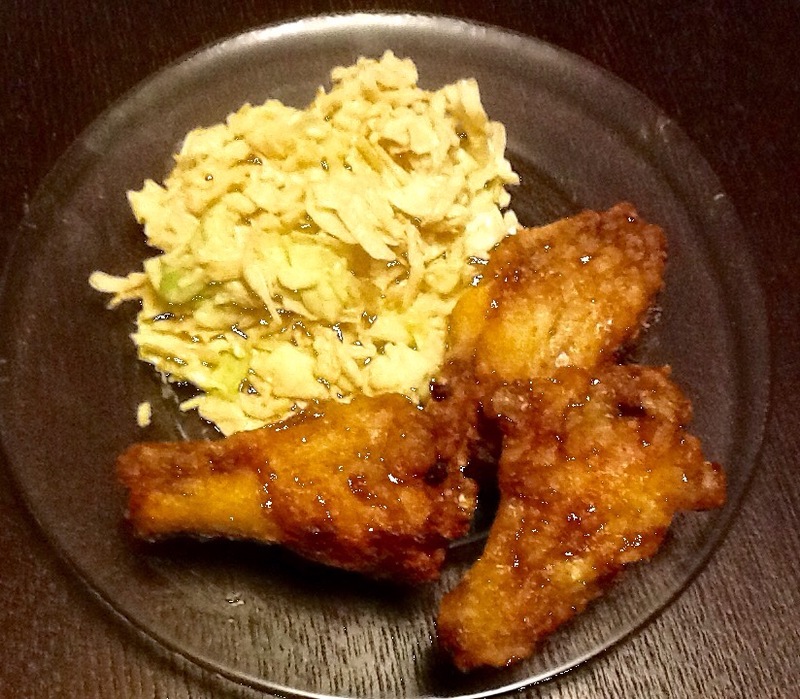 Note: only toss the wings in this sauce for 1 minute for maximum crispiness! Finally, I like a nice, spicy-sweet cole slaw to accompany my wings. 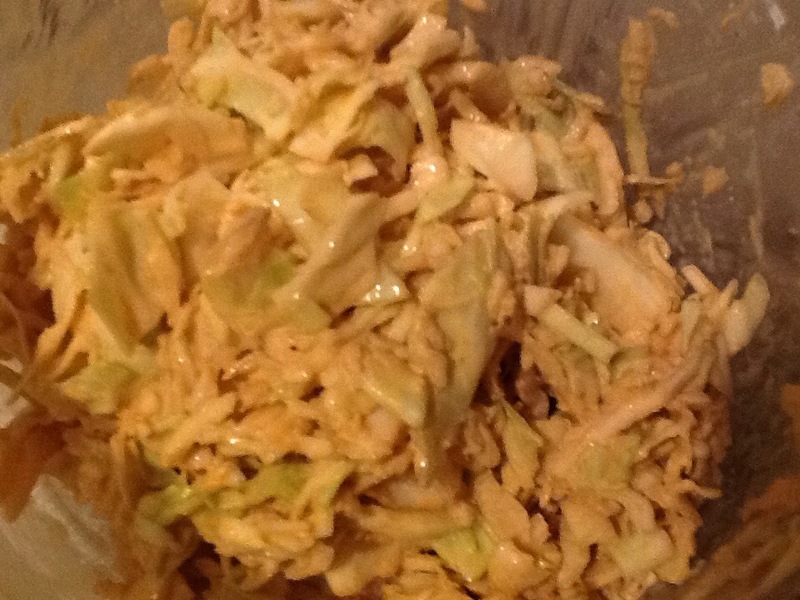 My recipe is shredded cabbage, 1tsp granulated sugar, 2 Tbsp mayonaisse, 1tsp Siracha. There’s some fireworks for ya Katy Perry! Previous Previous post: Mexican, Si! Next Next post: Another Beautiful Sunset in Wilmington!